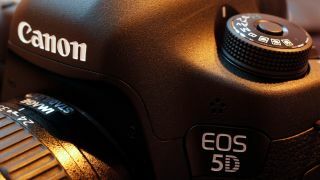 Canon to announce more DSLRs in 2012? Is a line-up refresh on the cards? Are more big releases from Canon on the cards this year? Rumours of several more Canon DSLRs, and a mirrorless camera, are continuing to circulate. , the company's premium compact camera featuring a large sensor. However, it seems the rumour mill isn't content with these announcements and there are suggestions of several new cameras being on the cards. First up, the rumours persist that a second full-frame "entry level" model will be announced this year. Likely to sit alongside the 5D Mark III, it's thought to be a more direct replacement of the more affordable Mark II. Other suggested replacement cameras include a new enthusiast APS-C DSLR, probably called the 70D to replace 2010's 60D. With Nikon announcing high resolution cameras this year in the shape of the Nikon D800, with 36 million pixels, and the Nikon D3200, with 24 million pixels, suggestions that Canon will also follow suit are not far behind. Rumours suggest a high resolution Canon DSLR will be fitted into a 1D style body. The other big rumour this year of course remains Canon's mirrorless option. Still the only major camera manufacturer to have withheld from the compact system camera arena, many expect to see a new device making its debut at Photokina, taking place in Germany in September. Stay tuned for any announcement dates, as they happen.